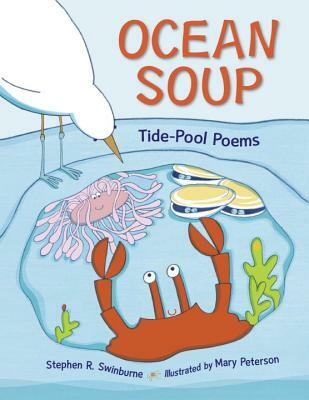 Dive in for a taste of tide pool soup! When the tide goes out, a briny soup is trapped among the rocks. Playful poems introduce readers to ten salty tide-pool creatures--from a self-satisfied anemone that brags about its home to barnacles that perform a rap about their feeding technique. The poems are brought to life by Mary Peterson's lighthearted illustrations. A secondary layer of factual text introduces children to the creatures that inhabit North American tide pools. Stephen R. Swinburne is a former park ranger and the author of several nonfiction books for children, including WINGS OF LIGHT: THE MIGRATION OF THE YELLOW BUTTERFLY. Steve lives in South Londonderry, Vermont.